I’ve always enjoyed the inclusion of the undead in games. Titles like Resident Evil (back in the day) popularised their existence, and since then anything with a rotting corpse attached pretty much grabs some attention. Dead Island grabbed even more with an emotional trailer that had the internet buzzing, but the game itself felt disjointed, and ultimately fell into the pit of mediocrity. 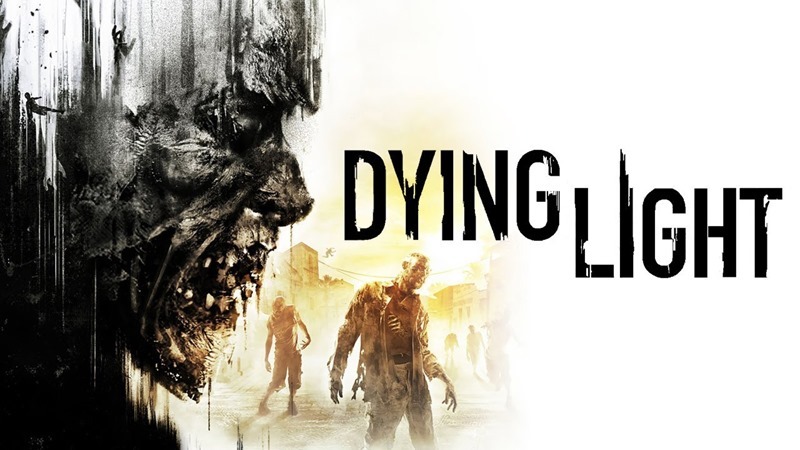 I really disliked it, but I can’t really say the same yet about Techland’s latest game, Dying Light. It has all the elements of Dead Island on show. You can pick up weapons like drain pipes, table legs and wrenches to deal some satisfyingly brutal blows to undead enemies. Swing and hit enough, and the weapon breaks, allowing you to either repair it with parts or turf it aside. Weapons, and gear in general, have attributes attached to them. You can upgrade items to boost damage, add some durability or go all out and electrify the hell out of a baseball bat. 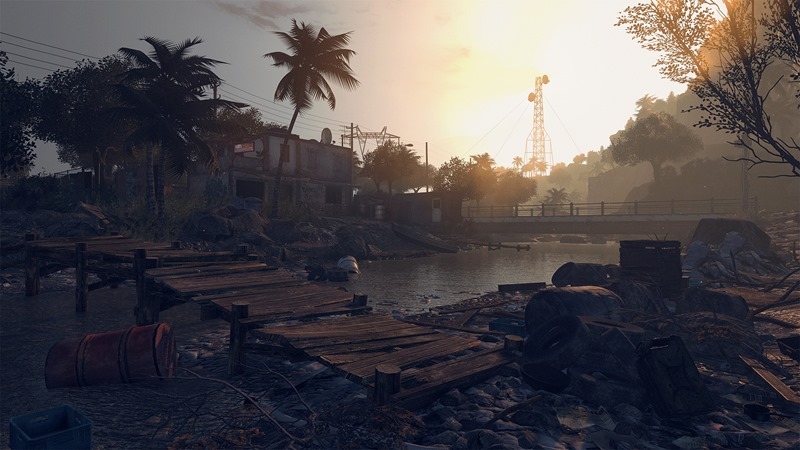 It’s one of the facets of Dead Island that really worked, although having an alternative to combat is what makes the system feel far more forgiving this time. Dying Light is all about parkour. It feels extremely similar to Mirror’s Edge in a lot of ways, with the flow of the game determined by how well you can string jumps, grabs and slides together. It also acts as the game’s real weapon, allowing you as the mysterious Agent Crane to stay above ground and avoid the horde entirely. It’s delightfully fun to hop, skip and jump across rooftops to the sound of snarling undead below, reminding you that there is an ever present threat to face if you ever mistime a single leap. There are some instances where it’s difficult to tell whether you’ll vault over or just hang on to an obstacle, but for most of my three hour play time Dying Light’s parkour felt solid. When you do fall down though, you’re forced to either hack away at an endless horde or high tail it out of there as quickly as possible. During the day, it’s usually not such an issue. In fact, while the sun is out it’s fairly easy to simply sprint past enemies on foot, with only a few quick runners here and there actually posing a threat. Getting caught in the middle of a few slower ones is still deadly, but it’s an encounter that’s relatively easy to escape. I’m sure more varied enemies will make this up the further you go during the campaign, but for the most part Dying Light felt safe. There was one instance during my time with the game that I was forced to stay out at night. Usually you can run back to a previously unlocked safe house, drop off some supplies and sleep until morning. The mission that rounded my time with the game off forced me to brave the horrors that night brings, and it’s a rather interesting trade off. You earn double the amount of experience at night, with a bonus award if you survive all the way through. This helps you unlock perks for running, combat and survival a lot faster, but also means you’ll be burning through supplies to just stay alive. That’s because when the sun goes down, the nightmares come out to play. 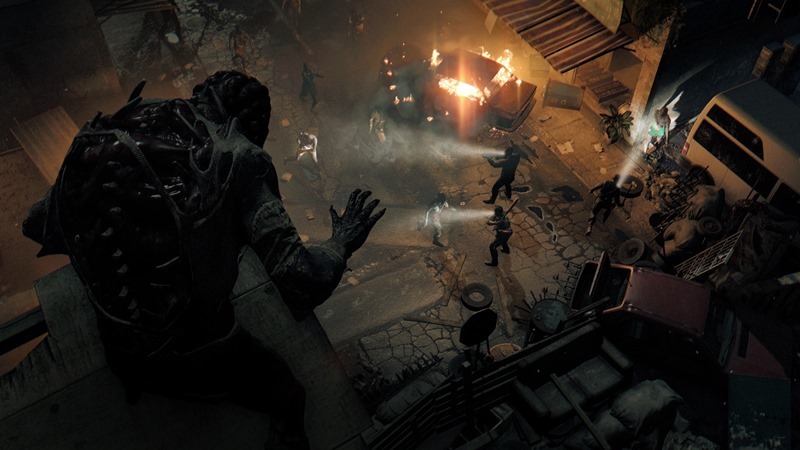 The Volatiles, a specific set of enemies that only appear at night, are a hundred times more deadly than any regular walker, and in turn infinitely more scary. They slowly survey the area around them, and I was unlucky enough to pick up three onto my trail after a bad jump resulted in a rather loud fall. I had a handy UV Light that could keep them at bay for a short time, but a Volatile isn’t the type of enemy you stand up and fight head on, never mind three. They made quick work of me the first time I tried, meaning I had to go back and try it all again. This time, I had learnt. I still managed to somehow alert a few on my way back to the game’s central base, The Tower, but I knew now not to stop, That’s where I started truly appreciating Dying Light’s tight parkour, which allowed me to glide seamlessly from one rooftop to the next while a pack of furious nightmares chased me down. It was tense and exhilarating at the same time, with my heart pounding in my chest as I just reached the entrance to the Tower and scurried up the vertical doorway they have to keep the undead out. I had survived, and Dying Light had shown me the ace up its sleeve. It’s a completely different game at night, and it made me want to tackle it again and again. 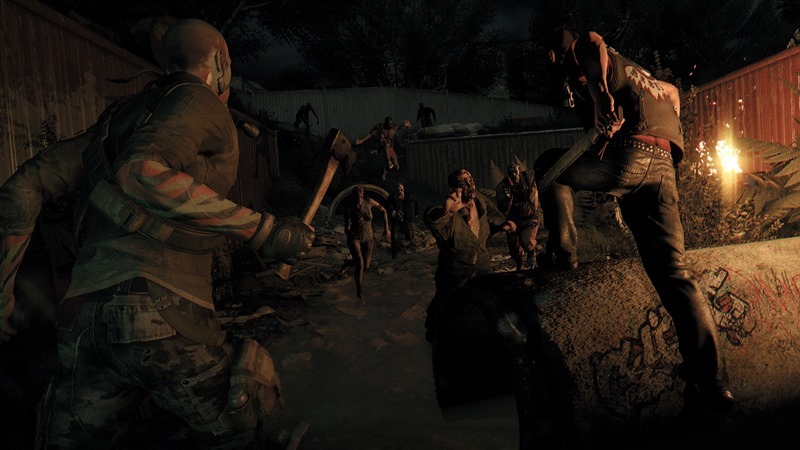 There are some slighty irritating mechanics to wrestle with at times, such as having to break momentum to constantly scavenge for materials and missions that stray into fetch and return territory, but my brief time with Techland’s upgraded zombie adventure got me excited. The story that was beginning to unfold in the opening hours is also more intriguing than most the genre has spit out in a while, so I’m also interested to see how well it fares during the full duration. Ultimately though, it’s the night that really makes Dying Light shine right now, and I seriously can’t wait to give it a go with three friends in tow. I expect flying limbs and screams everywhere. In the best way possible, of course. 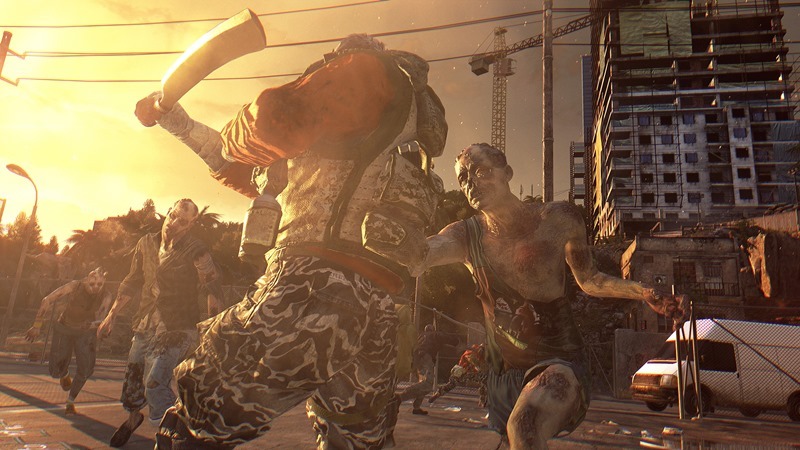 Dying Light is out next month on PC, Xbox One and PS4.